Draft: 2006, Florida Marlins, CAth rd. Went on 15-day disabled list on June 17 with left knee inflammation. On DL untilAugust 19, when he was recalled from rehab, reinstated and optioned to triple-ANew Orleans...Had two of Club's three leadoff home runs; April 22 at Colorado and June 11 vs.Arizona. Now has six career leadoff home runs...Recorded a season-high four hits on April 6 at Washington, tying a career high (fifthtime)...Hit two home runs on April 25 vs. Dodgers to mark second career multi-home rungame (also August 27, 2009 vs. Mets)...Tied career-high with three RBI on April 20 vs. Pittsburgh and again on April 27 vs.Dodgers. Now has three RBI in a game six times in career...Tied Club record with three doubles on April 6 vs. Washington (18th time). Began the season on the Marlins Opening Day roster, the first of his career ... Over the first 23 games posted a .180 average (16x89) with 10 runs scored and four RBI. FromMay 6 to the All-Star break hit .300 (73x243) with 45 runs scored, 20 doubles, three triples, fivehome runs and 24 RBI ... Tied a career-high with four hits on June 11 in Tampa. Marked the fourth time in his career andfirst of the season. Last had four hits on September 17, 2009 at Cincinnati ... Also on June 11 at Tampa, tied a club record with four runs scored ... In the month of June, led the National League in on base percentage (.463) and ranked secondin average (.377) ... His 40 hits tied for the most-ever by a Marlins player in June; Hanley Ramirez had 40 hits in 2009.Coghlan's 30 runs were the most-ever in Marlins history in the month, and his .377 average wasthe 2nd-highest June average by a Marlins player (min. 100 PA), behind Mark Kotsay's .383 inJune, 2000 ... Hit in a season-best 12 straight games from May 30-June 12. Hit .510 (26x51) over the streak withseven doubles, three triples, one HR and six RBI ... Connected for first leadoff home run of the season on June 1 against Milwaukee. Marked fourthleadoff home run of his career, with the last on August 27, 2009 vs. New York ... Hit second home run of the season on May 16 vs. New York, a pinch hit homer off FernandoNieve. Marked his second career PH home run, with the other coming on July 24, 2009 at LosAngeles ... Appeared in only seven second-half games, collecting seven hits in 26 at-bats ... Suffered a torn meniscus in his left knee on July 25. Placed on the 15-day Disabled list on July 27,retroactive to July 26, with the tear. Transferred to the 60-day DL on September 19 ... Underwent successful surgery to repair the tear on August 11 by Dr. Lee Kaplan. Started the season at triple-A New Orleans, where he batted .344 (33x96) with nine doubles, atriple, three home runs and 22 RBI in 25 games for the Zephyrs. Had contract selected on May 8and made his Major League debut that night in Colorado, making the start at second base andgoing 2x4 at the plate...Became the third Marlin to win National League Rookie of the Year honors, joining HanleyRamirez (2006) and Dontrelle Willis (2003)...Ranked sixth in the National League in batting with his .321 average and led all Major Leaguerookies in average, runs (84), hits (162), doubles (31), total bases (232), multi-hit games (51), onbasepercentage (.390) and OPS (.850). Led all NL rookies in slugging percentage (.460) andranked second in extra base hits (46), third in walks (53), and fifth in triples (6) and RBI (47)...Became just the eighth ML rookie in the last 50 years to hit .321 or better and first Marlins rookieever to hit over .300 for a season...Led all NL leadoff hitters and ranked tied for second in the Majors with a .336 average (150x446),while also leading the NL with his .397 on-base percentage...In 56 games prior to the All-Star break, he batted .245 (49x200) with 30 runs scored, 10 doubles, atriple, two home runs and 15 RBI. After the break, boasted a NL -leading .372 (113x304) averagewith 54 runs, 21 doubles, five triples, seven home runs and 32 RBI in 72 games. Led all MajorLeaguers with 113 hits in the second half of the season and was one of only three ML players with100+ hits after the break (Derek Jeter-102, Ryan Braun-100)...His 113 hits were the most by any NL player since Juan Pierre in 2004 and tied for the most in theNL in the last 45 years. His hit total was tied for the most ever by a NL rookie and the fourth-mostby a rookie in Major League history. He became the first NL rookie in ML history, and fourth overall,to lead the Majors in hits after the All-Star break, joining Ichiro (109; 2001), Nomar Garciaparra(105; 1997) and Dale Mitchell (129; 1947)...Became the first rookie in 25 years to have 150+ hits while playing in 130 or less games: KirbyPuckett, 1984 (165 hits, 128 games)...Named National League Rookie of the Month after leading the Majors with 47 hits in August.Became the first NL rookie to post 47+ hits in a single month since Wally Moon had 52 in July of1954...Hit.382 in September, second in the NL, and led the Majors with 47 hits. He was just the third rookiein the last 30 years to lead the Majors in hits in September (Hanley Ramirez-43 in 2006; DaveStapleton-45 in 1980). Marked the first time since 2005 any ML player had 47+ hits in September(Randy Winn-51; Jimmy Rollins-49). The 47 hits were the most by a ML rookie in September since1928, when Hall-of-Famer Chuck Klein had 50...With his 94 hits over the months of August and September, he became the first ML rookie with 94hits over a two-month span since Dale Miitchell in 1947 (103 in July-August). He was the first NLplayer with 94 hits in a two-month span since Dave Parker in 1978 (94 in August-September) andfirst ML player since Ichiro in 2004 (100 in August-September)...Hit safely in a career best 14 games, from August 23-September 6, to establish the longest hitstreak by a rookie this season. Bested Andrew McCutchen's 13 game streak from June 11-25.Batted .443 (27x61) over the streak and posted multiple hits in the last six...Tied a Marlins rookie record by scoring at least one run in nine consecutive games fromSeptember 1-10. Hanley Ramirez also had a nine-game streak from August 20-30, 2006...Posted first career multi-home run game on August 27 against the New York Mets...Tallied multi-hit efforts in eight straight games from August 1-9, marking a new club record.Became the first Major League rookie to post two or more hits in eight consecutive games sincethe Reds' Dan Driessen in 1973. Tallied a six-game streak from September 1-6 and became thefirst Major League rookie since Wally Joyner in 1986 to record two streaks of six or more gameswith multiple hits...Tied a season best with four hits August 9 at Philadelphia. Also had four hits on June 12 in Torontoand September 17 at Cincinnati...Hit .352 with runners in scoring position, fifth best in the NL and 11th in the Majors...Was the second-hardest player to double-up in the NL and fourth in the Majors, doing so onceevery 168.0 at-bats. Ichiro (639.0), Curtis Grandersonn (631.0) and Michael Bourn (606.0) werethe only ones higher...Led the NL in day batting (.376) and had the sixth-best average against righties (.323)...Hit first career leadoff home run July 17 against Philadelphia. Was the first leadoff home run bya Marlin since Hanley Ramirez did so on September 24, 2008 at Washington. Also led off August8 at Philadelphia and August 27 vs. New York games with home runs...Connected for his first career pinch-hit home run July 24 at Los Angeles...Connected for first Major League home run May 13 in Milwaukee off Braden Looper. With double-A Carolina in 2008, ranked second in Southern League in stolen bases and fifth in runs, and was named to bothmidseason and postseason SL All-Star squads. November 2, 2018 1B Chris Coghlan elected free agency. July 1, 2018 Iowa Cubs activated 1B Chris Coghlan from the 7-day disabled list. June 18, 2018 LF Chris Coghlan assigned to Iowa Cubs. June 18, 2018 Iowa Cubs sent LF Chris Coghlan on a rehab assignment to AZL Cubs 1. March 29, 2018 Chicago Cubs signed free agent LF Chris Coghlan to a minor league contract. 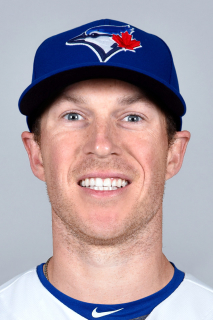 August 12, 2017 Toronto Blue Jays released 3B Chris Coghlan. August 12, 2017 Toronto Blue Jays designated 3B Chris Coghlan for assignment. August 7, 2017 Toronto Blue Jays sent 3B Chris Coghlan on a rehab assignment to Dunedin Blue Jays. August 7, 2017 sent 3B Chris Coghlan on a rehab assignment to Dunedin Blue Jays. June 16, 2017 Toronto Blue Jays placed 3B Chris Coghlan on the 10-day disabled list. Left wrist contusion. April 14, 2017 Toronto Blue Jays purchased contract of 3B Chris Coghlan. April 1, 2017 Toronto Blue Jays signed free agent LF Chris Coghlan to a minor league contract. April 1, 2017 LF Chris Coghlan assigned to Buffalo Bisons. February 4, 2017 Philadelphia Phillies signed free agent LF Chris Coghlan. November 3, 2016 LF Chris Coghlan elected free agency. September 1, 2016 Chicago Cubs activated LF Chris Coghlan from the 15-day disabled list. August 25, 2016 Chicago Cubs sent OF Chris Coghlan on a rehab assignment to Iowa Cubs. August 17, 2016 Chicago Cubs placed LF Chris Coghlan on the 15-day disabled list. Right rib contusion. July 29, 2016 Chicago Cubs activated LF Chris Coghlan from the 15-day disabled list. July 22, 2016 Chicago Cubs sent LF Chris Coghlan on a rehab assignment to Tennessee Smokies. July 3, 2016 Chicago Cubs placed LF Chris Coghlan on the 15-day disabled list. right rib cage strain. June 9, 2016 Oakland Athletics traded LF Chris Coghlan to Chicago Cubs for 2B Arismendy Alcantara. February 25, 2016 Chicago Cubs traded 3B Chris Coghlan to Oakland Athletics for RHP Aaron Brooks. May 3, 2014 Chicago Cubs selected the contract of RF Chris Coghlan from Iowa Cubs. April 2, 2014 OF Chris Coghlan assigned to Iowa Cubs. January 24, 2014 Chicago Cubs signed free agent LF Chris Coghlan to a minor league contract and invited him to spring training. December 2, 2013 LF Chris Coghlan elected free agency. September 1, 2013 Miami Marlins activated LF Chris Coghlan from the 15-day disabled list. August 27, 2013 Miami Marlins sent OF Chris Coghlan on a rehab assignment to New Orleans Zephyrs. August 14, 2013 Miami Marlins sent CF Chris Coghlan on a rehab assignment to Jupiter Hammerheads. June 9, 2013 Miami Marlins placed CF Chris Coghlan on the 15-day disabled list. Right calf nerve irritation. October 14, 2012 RF Chris Coghlan assigned to Aguilas Cibaenas. October 4, 2012 Miami Marlins recalled CF Chris Coghlan from New Orleans Zephyrs. June 14, 2012 Miami Marlins optioned Chris Coghlan to New Orleans Zephyrs. May 20, 2012 Miami Marlins recalled Chris Coghlan from New Orleans Zephyrs. April 30, 2012 Miami Marlins optioned Chris Coghlan to New Orleans Zephyrs. October 6, 2011 Chris Coghlan roster status changed by Florida Marlins. August 19, 2011 Florida Marlins optioned LF Chris Coghlan to New Orleans Zephyrs. August 14, 2011 sent LF Chris Coghlan on a rehab assignment to Jupiter Hammerheads. July 23, 2011 sent CF Chris Coghlan on a rehab assignment to Jupiter Hammerheads. July 13, 2011 sent CF Chris Coghlan on a rehab assignment to Jacksonville Suns. July 10, 2011 sent CF Chris Coghlan on a rehab assignment to Jupiter Hammerheads. June 20, 2011 Chris Coghlan roster status changed by Florida Marlins. June 17, 2011 Florida Marlins optioned Chris Coghlan to New Orleans Zephyrs. November 5, 2010 Florida Marlins activated LF Chris Coghlan from the 60-day disabled list. September 19, 2010 Florida Marlins transferred LF Chris Coghlan from the 15-day disabled list to the 60-day disabled list. July 27, 2010 Florida Marlins placed LF Chris Coghlan on the 15-day disabled list retroactive to July 26, 2010. Left knee injury. May 8, 2009 Florida Marlins selected the contract of LF Chris Coghlan from New Orleans Zephyrs. April 9, 2009 Chris Coghlan assigned to New Orleans Zephyrs from Jacksonville Suns. August 4, 2006 Florida Marlins signed 3B Chris Coghlan.